If the world kept doing the same thing over and over, we’d never grow and evolve. We’d stagnate and get caught up in the same ol’ routines of life. But, one of the great things about our world today is our quest for knowledge, for change, and for growth. This can especially be seen when you look at various vineyards throughout Napa and Sonoma Valley. In fact, there are a handful of people at these vineyards who have revolutionized winemaking and they are the highlight of a new book called Rock and Vine. The book is written by Ridgefield resident Chelsea Prince, who is also the publisher at Chelsea Print & Publishing. It is edited by Christy Canterbury, Master of Wine, and photographed by Mary Steinbacher. 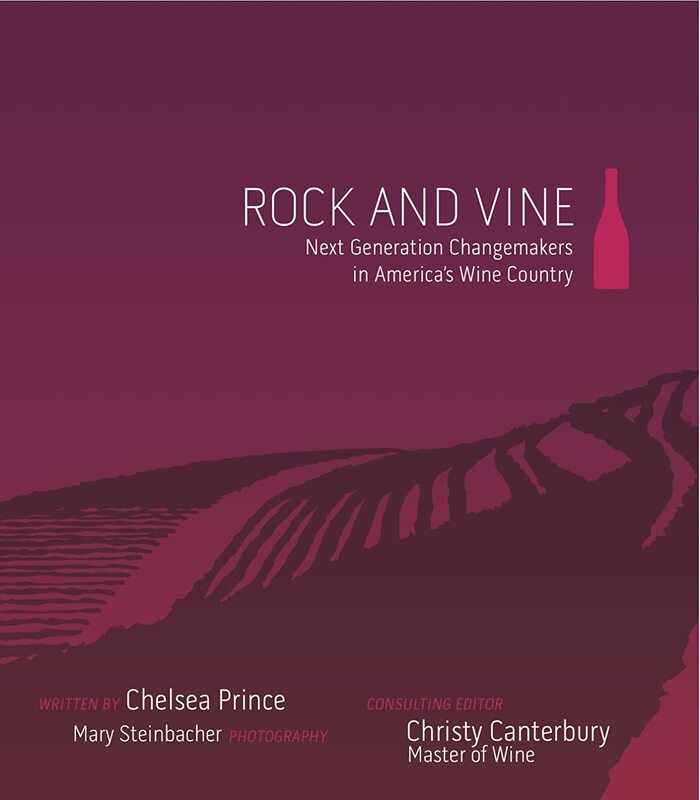 As we mentioned, Rock and Vine highlights “Next generation changemakers in America’s Wine Country” from Napa and Sonoma…eleven of them to be exact. Morgan Peterson-Twain of Bedrock Wine Co.
Rock and Vine is $19.99 ($26 on Amazon) and can be specially purchased at Stew Leonard’s Wines of Norwalk on Saturday, May 25 from noon to 2 pm. At that time, you’ll also be able to meet Chelsea Prince and have her sign your copy of the book. There will also be a free wine tasting of America’s best-selling Pinot Noir: Belle Glos Meiomi Pinot Noir. If you fall in love with the wine, it’ll be available for just $19.99, too. So, you’ll definitely want to get a copy of this beautiful book with stunning pictures and great profiles. Plus, a portion of the profits from the book sales will help to provide clean drinking water to people around the world through Wine to Water.